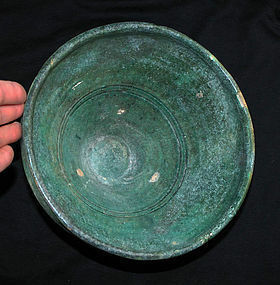 LARGE POTTERY BOWL WITH GREEN GLACE, WESTERN-CENTRAL ASIA, 10TH-11TH. CENTURY AD. 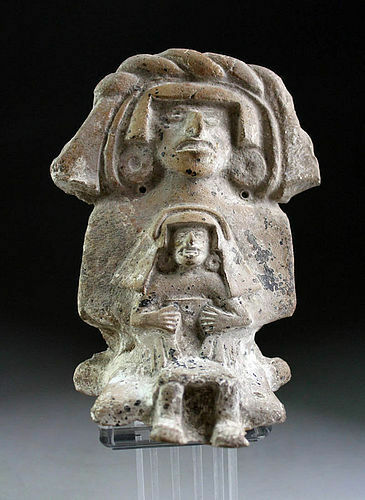 A very high bowl, almost cone shaped and particularly large for the type. Eastern part of the ancient Samanid Empire, around the Bamiyan region. Size: ca 23 cm. wide and 12 cm. high!. Size: ca 174 mm. wide and 70 mm. deep. Condition: Choice, area of restoration but with much original glace overall. Wonderful iridiscent shine to the surface and a lot of fine crackles! A fine bowl decorated with brown stylized caligraphy on a cream ground. 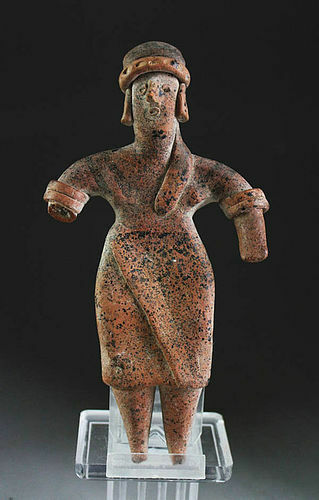 Tranoxiana, early Samanid Dynasty style, late 9th. century-early 10th. century AD. Size: ca 130 mm. wide and 50 mm. deep. Condition: Nice, some light restoration with much original glace left. 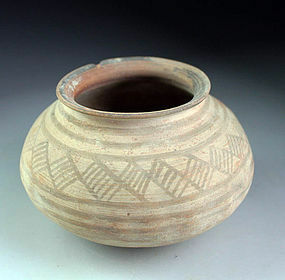 FINE POTTERY BOWL, TRANSOXIANA, 10TH-11TH. CENTURY AD. A beautiful larger bowl with a typical Islamic decoration in shades of brown below the rim, done on a cream ground. Attractive! Size: ca 202 mm. wide and c. 80 mm. deep. Condition: Choice condition for type, restored from a few larger pieces with joints retouched. Othervise fine original glace. 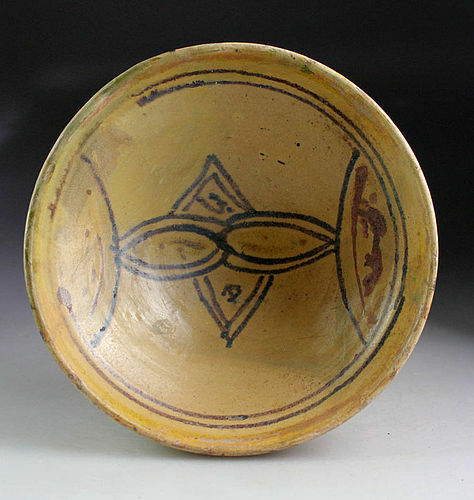 Islamic pottery bowl, Western-central Asia, ca. 10th-11th. cent. 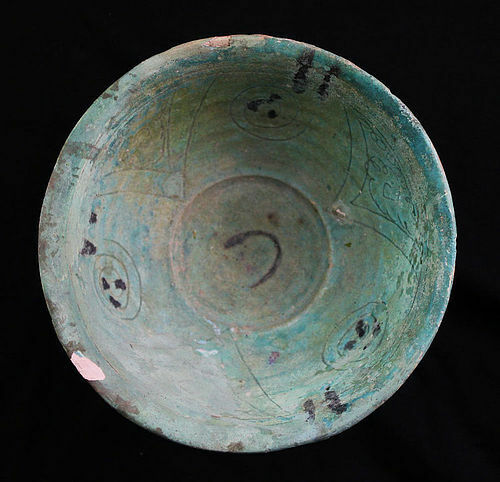 FINE POTTERY BOWL WITH GREEN AND BROWN DECORATIONS, WESTERN-CENTRAL ASIA, 10TH-11TH. CENTURY AD. A beautiful bowl decorated with stylized element in different shades of green and brown line. Size: ca 192 mm. wide and 73 mm. deep. Condition: Choice condition for type with some restoration, nicely done. Fine and original glossy glace overall.